Linda Darling-Hammond is one of my education heroes. Perhaps that’s why her recent article in the Washington Post hurts so much. In it, she and her think tank buddies slam education advocates Diane Ravitch and Carrol Burris for worrying about who governs schools – as if governance had nothing to do with quality education for children. I’d expect something like that from Bill Gates. She’s not a know-nothing privatization flunky. She’s not a billionaire who thinks hording a bunch of money makes him an authority on every kind of human endeavor. She’s a bona fide expert on teacher preparation and equity. She founded the Center for Opportunity Policy in Education at Stanford University, where she is professor emeritus. And she was the head of Barrack Obama’s education policy working group in 2008 when he was running for President. In fact, she was the reasons many educators thought Obama was going to be a breath of fresh air for our schools and students. Everyone thought she was a lock for Education Secretary should Hope and Change win the day. But when he won, he threw her aside for people like Arne Duncan and John King who favored school privatization and high stakes standardized testing. These days she spends most of her time as founder and president of the California-based Learning Policy Institute. The report basically conflates all types of choice within the public school system. On the one hand, it’s refreshing to have policy analysts admit that there ARE alternatives within the public school system above and beyond charter and voucher schools. On the other, it’s frustrating that they can’t see any fundamental differences between those that are publicly managed and those outsourced to private equity boards and appointed corporate officers. Hammond and her colleagues Peter Cookson, Bob Rothman and Patrick Shields talk about magnet and theme schools. They talk about open enrollment schools – where districts in 25 states allow students who live outside their borders to apply. They talk about math and science academies, schools focusing on careers in health sciences and the arts, schools centered on community service and social justice, international schools focused on global issues and world languages, and schools designed for new English language learners. They talk about schools organized around pedagogical models like Montessori, Waldorf and International Baccalaureate programs. And these are all options within the public school system, itself. In fact, the report notes that the overwhelming majority of parents – three quarters – select their neighborhood public school as their first choice. However, Hammond and co. refuse to draw any distinction between these fully public schools and charter schools. Unlike the other educational institutions mentioned above, charter schools are publicly funded but privately run. They take our tax dollars and give them to private equity managers and corporate appointees to make all the decisions. Though Hammond admits this model often runs into problems, she refuses to dismiss it based on the few instances where it seems to be working. Despite concerns from education advocates, fiscal watchdogs and civil rights warrior across the country, Hammond and co. just can’t get up the nerve to take a stand. The NAACP and Black Lives Matter have called for a moratorium on all new charter schools in the country. Journey for Justice has requested a focus on community schools over privatization. But Hammond – a once great advocate for equity – can’t get up the moral courage to stand with these real agents of school reform. She stands with the corporate school reformers – the agents of privatization and profit. “School choice is a means that can lead to different ends depending on how it is designed and managed…” write Hammond and her colleagues. In other words, if charters result in greater quality and access for all students, they are preferable to traditional public schools. However, she admits that charters usually fail, that many provide worse academic outcomes than traditional public schools serving similar students. She notes that 33% of all charters opened in 2000 were closed 10 years later. Moreover, by year 13, that number jumped to 40%. When it comes to stability, charter schools are often much worse than traditional public schools. However, after noting these negatives, Hammond and co. go on to provide wiggle room for privatization. They discuss how state governments can do better making sure charter schools don’t go off the rails. They can provide more transparency and accountability. They can outlaw for-profit charters and put caps on the number of charters allowed in given districts and states, set rules on staffing and curriculum – all the kinds of measures already required at traditional public schools. In other words, they continue to lump privatized schools like charters in with fully public schools. They refuse to make the essential distinction between how a school is governed and what it does. So long as it is funded with public tax dollars, it is a public school. That’s like refusing to admit there is any difference in the manner in which states are governed. Both democracies and tyrannies are funded by the people living in those societies. It does not then follow that both types of government are essentially the same. Most tellingly, the authors admonish us to, “Focus on educational opportunities for children, not governance structures for adults” (Emphasis mine). The way a school is governed is not FOR ADULTS. It is FOR CHILDREN. That is how we do all the other things Hammond and co. suggest. That doesn’t just happen. You have to MAKE it happen through laws and regulations. That’s called governance. That’s governance. That’s bureaucracy. It’s hierarchy. It’s one system overlooking another system with a series of checks and balances. Again, that doesn’t just happen. We have to write rules and systems to make it happen. Allowing private individuals to make decisions on behalf of private organizations for their own benefit is not going to achieve any of these goals. And even in the few cases where charter schools don’t give all the decisions to unelected boards or voluntarily agree to transparency, the charter laws still allow them to do this. They could change at any time. It’s like building a school on a cliff. It may be fine today, but one day it will inevitably fall. It’s sad that Hammond refuses to understand this. I say “refuse” because there’s no way she doesn’t get it. This is a conscious – perhaps political – decision on her part. Consider how it stacks up against some of the most salient points she written previously. Now that’s a Linda Darling-Hammond who knows the manner in which something (a state) is governed matters. It’s not just funding. It’s democratic principles – principles that are absent at privatized schools. 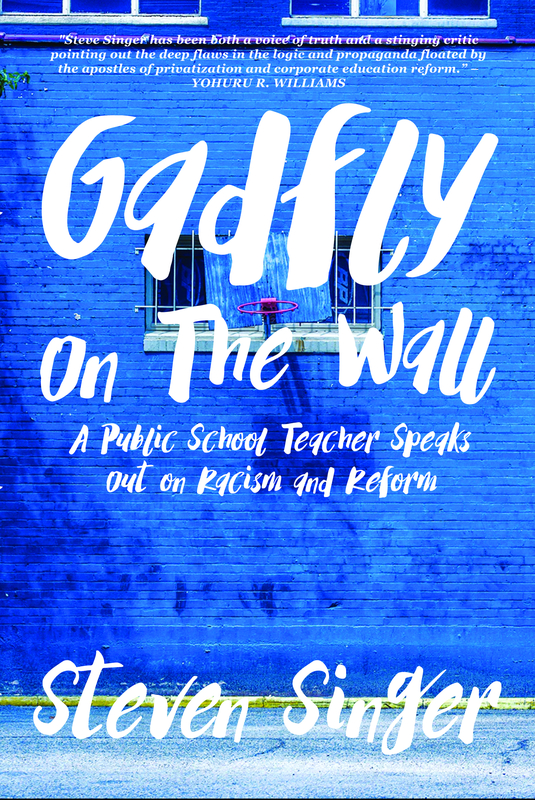 This Linda Darling-Hammond is a fighter for teacher autonomy – a practice you’ll find increasingly constrained at privatized schools. In fact, charter schools are infamous for scripted education, endless test prep and everything Hammond used to rail against. I wonder what this Linda Darling-Hammond would say to the present variety. Privatized schools are most often test prep factories. They do none of what Hammond used to advocate for. But today she’s emphatically arguing for exactly the kind of school she used to criticize. Isn’t this how they routinely teach at charter schools? Memorize this. Practice it only in relation to how it will appear on the standardized test. And somehow real life, authentic learning will follow. Too true, Linda Darling-Hammond. How much learning do you think there is at privatized schools with much higher turnover rates, schools that transform teachers into glorified Walmart greeters? How many interpersonal relationships at privatized institutions replacing teachers with iPads? Yes, but the schools today’s Linda Darling-Hammond are advocating for will boil learning down to just that – A,B,C or D.
Yet today’s Linda Darling-Hammond is fighting for schools that work teachers to the bone for less pay and benefits and then fire them at the slightest pretense. In short, I’m sick of this new Linda Darling-Hammond. And I miss the old Linda Darling-Hammond. Perhaps she’s learned a political lesson from the Obama administration. If she wants a place at the neoliberal table, it’s not enough to actually know stuff and have the respect of the people in her profession. She needs to support the corporate policies of the day. She needs to give the moneymen what they want – and that’s school privatization. This new approach allows her to have her cake and eat it, too. She can criticize all the evils of actual charter schools while pretending that there is some middle ground that allows both the monied interests and the students to BOTH get what they want. It’s shrewd political gamesmanship perhaps. But it’s bad for children, parents and teachers. School Voucher Industry Strikes Back: We’re Segregated!? No, You’re Segregated! In what must count as another new low in American discourse, the school voucher industry is striking back against claims that their products lead to greater segregation of students. “Make no mistake: This use of privatization, coupled with disinvestment are only slightly more polite cousins of segregation,” she said a week ago during a speech at the AFT’s yearly convention. This was from a statement by Kevin Chavous, founding board member of the American Federation for Children, the school privatization advocacy group that Secretary of Education Betsy DeVos used to lead. A nation of more than 325 million people, with a more than 241-year history reduced to – I Know You Are But What Am I? The sad fact is that they’re both right. School vouchers do lead to increased segregation (and so do charter schools, by the way, the method preferred by corporate Democrats). But many traditional public schools are, in fact, deeply segregated both racially and economically. Does that mean that both systems – privatized and public – are equally at fault? Does it mean that both somehow get a pass for reprehensible behavior? First, we must explain why segregation is bad. Peter Cunningham, former assistant secretary for communications and outreach at the Education Department under Obama, wagged his finger at Weingarten on the privatization propaganda Website, the 74. He called out Weingarten’s hypocrisy, which takes some cojones for a man who only last year pondered aloud and in public whether segregation was really such a bad thing. He calls out Weingarten because of public school segregation but defends charter schools because their segregation is somehow just swell. Keep in mind. Cunningham is the executive director of the Education Post, a well-funded charter school public relations firm that packages its advertisements, propaganda and apologias as journalism. And he’s not about to poop where he eats. So, yes, Mr. Cunningham, segregation is worth fighting. When you have schools made up mostly of minority and/or economically disadvantaged students, it makes it easier to provide fewer resources and less funding to those children while sending the lion’s share to the white and wealthy. That’s why in Brown v. Board the U.S. Supreme Court struck down “Separate but Equal” – because when races are kept separate, their schools are rarely equal. This game of excusing one system based on the deficiencies of the other is pure sophistry. You can’t defend voucher and charter schools from being segregated by reference to public school segregation. Nor can you ignore public school segregation by reference to the same at privatized schools. They’re both bad, and they both need fixing. To be fair, Weingarten seems to tacitly admit this about public schools. She acknowledges the disinvestment in public education, how public schools have been systemically undermined by politicians and lobbyists, many of them advocating for privatized schools, so that they could use this disinvestment as an excuse for their own for-profit education schemes. “…no amount of facts or evidence will sway voucher proponents from their agenda to starve public schools to the breaking point, then criticize their deficiencies and let the market handle the rest, all in the name of choice,” she said in a statement. The fact of the matter is this: public schools have become more segregated not because teachers or administrators want it, but because of local, state and federal law; a series of subsequent Supreme Court decisions allowing it within district boundaries; the continuation of racist redlining in the loan and insurance industry; and the xenophobia of wealthy and middle class whites who prefer their kids be educated separately from those they consider undesirable. These policies could be changed. The system could be fixed. All it would take is the will to do it. Schools serving poor and minority students aren’t getting the proper resources. So they propose further segregating them. That’s a terrible idea. It’s like escaping from a leaky cruise ship by jumping into a leaky lifeboat. You’ll sink in both, but the lifeboat will sink quicker. Yes, our public schools are segregated by race and class and therefore poor and minority students receive inequitable funding and resources. Charters and vouchers cannot possibly remedy that. They will always make it worse. Only a robust and integrated public school system can be truly equitable. A system that deifies choice cannot combat racism if it is freely chosen. What Weingarten is getting at is this: if we want to help the nation’s children – all of the nation’s children – we must support and reform public schools. We must also acknowledge that many of the problems of systemic disinvestment are caused by those who want to privatize in the first place. We have let the wolf write our education policy. It should be no shock that his solution isn’t to build more houses of bricks but to process our little piggies into bacon. Full disclosure: I am no fan of Weingarten. I recently called for both her and National Education Association (NEA) President Lily Eskelsen Garcia to voluntarily step down because of undemocratic practices and mismanagement in both teachers unions. However, I’ll stand up for her when she’s right, and in this instance, she is. If anything, maybe she should have included charter schools in her criticism. I laid into her in June for writing an op-ed with Jonah Edelman, an anti-union activist, specifically praising charter schools over vouchers. But I get it. Now that some charter school teachers have unionized and joined the AFT, she’s stuck between a rock and a hard place. Frankly, it makes her ineffective in speaking out on this matter. I have nothing against charter school teachers. I know, personally, several very good educators who work at charter schools. In this job market, sometimes you have to take what you can get. However, the sad fact of the matter is that by their very structure, charter schools are inferior to public schools. They are less democratic, less transparent, less accountable and more easily subject to fraud and abuse of children. That’s not to say all charters are guilty of this, but just by being a charter school and being subject to the deregulated rules governing them, they are more susceptible to these errors than their traditional public school brethren. But, of course, the same can be said of voucher schools. It’s just that you can’t criticize one privatization scheme without also criticizing the other. Perhaps the biggest mistake Weingarten made was in glossing over the worst abuses of public schools. If she was going to call out the segregation at voucher schools, she also should have explicitly called it out at public schools. But that’s something even our first black President Barack Obama refused to do. You’d think he’d make that a priority for his administration, but instead he favored the same school privatization schemes that just made it worse. Currently, you’ll find no political party that actively champions integration. Democrats will give it more lip service than Republicans, but both parties either ignore it in practice or actively work against it. The only use they have for it is as a club with which to hit the other side when issues like this come up. And so we are all lead over the cliff by partisans and fools. What’s More Important – Fighting School Segregation or Protecting Charter School Profits? No one wants school segregation. At least, no one champions it publicly. As a matter of policy, it would be political suicide to say we need to divide up our school children by race and socio-economics. But when you look at our public school system, this is exactly what you see. After the triumphs of the Civil Rights movement, we’ve let our schools fall back into old habits that shouldn’t be acceptable in the post-Jim Crow era. When we elected Barack Obama, our first President of color, many observers thought he’d address the issue. Instead we got continued silence from the Oval Office coupled with an education policy that frankly made matters worse. So one wonders if people still care. Is educational apartheid really acceptable in this day and age? Is it still important to fight against school segregation? Peter Cunningham isn’t so sure. The former assistant Secretary of Education under Obama and prominent Democrat worries that fighting segregation may hurt an initiative he holds even more dear – charter schools. Cunningham is executive director of the Education Post, a well-funded charter school public relations firm that packages its advertisements, propaganda and apologias as journalism. Everywhere you look Democrats and Republicans are engaged in promoting various school choice schemes at the expense of the traditional public school system. Taxpayer money is funneled to private or religious schools, on the one hand, or privatized (and often for-profit) charter schools on the other. One of the most heated debates about these schemes is whether dividing students up in this way – especially between privately run charter schools – makes them more segregated by race and socio-economic status. Put simply – does it make segregation worse? Civil Rights organizations like the NAACP and Black Lives Matter say it does. And there’s plenty of research to back them up. But until recently, charter school apologists have contested these findings. Cunningham breaks this mold by tacitly admitting that charter schools DO, in fact, increase segregation, but he questions whether that matters. The schools he’s referring to are charter schools like the Knowledge is Power Program (KIPP) where mostly minority students are selected, but only those with the best grades and hardest work ethic. The children who are more difficult to teach are booted back to traditional public schools. It’s a highly controversial model. KIPP is famous for two things: draconian discipline and high attrition rates. Even those kids who do well there often don’t go on to graduate from college. Two thirds of KIPP students who passed the 8th grade still haven’t achieved a bachelor’s degree 10 years later. Moreover, its methods aren’t reproducible elsewhere. The one time KIPP tried to take over an existing public school district and apply its approach without skimming the best and brightest off the top, it failed miserably – so much so that KIPP isn’t in the school turnaround business anymore. These are the “lots and lots of schools” Cunningham is worried about disturbing if we tackle school segregation. He first voiced this concern at a meeting with Democrats for Education Reform – a well-funded neoliberal organization bent on spreading school privatization. Even at such a gathering of like minds, some people might be embarrassed for saying such a thing. Is integration worth it? It sounds like something you’d expect to come out of Donald Trump’s mouth, not a supposedly prominent Democrat. But Cunningham isn’t backing away from his remarks. He’s doubling down on them. But charter schools increase segregation. So the obvious conclusion is that charter schools are bad. BUT WE CAN’T DO THAT! It would forever crash the gravy train that transforms public school budgets into private profits. It would forever kill the goose that turns Johnny’s school money into fancy trips, expense accounts and yachts for people like Cunningham. This industry pays his salary. Of course he chooses it over the damage done by school segregation. But the rest of us aren’t burdened by his bias. His claims go counter to the entire history of the Civil Rights movement, the more than hundred year struggle for people of color to be treated equitably. That’s hard to ignore. People didn’t march in the streets and submit to violent recriminations to gain something that just isn’t necessary. They weren’t sprayed by hoses and attacked by police dogs so they could gain an advantage for their children that isn’t essential to their rights. They weren’t beaten and murdered for an amenity at which their posterity should gaze with indifference and shrug. We used to understand this. We used to know that allowing all the black kids to go to one school and all the white kids to go to another would also allow all the money to go to the white kids and the crumbs to fall to the black kids. We knew it because that’s what happened. Before the landmark Brown vs. Board of Education, it’s a matter of historical fact. And today it’s an empirical one. As our schools have been allowed to fall back into segregation, resources have been allocated in increasingly unfair ways. We have rich schools and poor schools. We have predominantly black schools and predominantly white schools. Where do you think the money goes? But somehow Cunningham thinks charter schools will magically fix this problem. Charters are so powerful they will somehow equalize school funding. Or maybe they’re so amazing they’ll make funding disparities irrelevant. For believers, charter pedagogy wields just that kind of sorcery. Hocus Pocus and it won’t matter that black kids don’t have the books or extra-curriculars or arts and humanities or lower class sizes. Unfortunately for Cunningham, the effects of school segregation have been studied for decades. “Today, we know integration has a positive effect on almost every aspect of schooling that matters, and segregation the inverse,” says Derek Black, a professor of law at the University of South Carolina School of Law. Minorities are harmed academically by being in segregated schools. Whites are harmed socially. At predominantly minority schools, less money means less educational opportunities and less ability to maximize the opportunities that do exist. Likewise, at predominantly white schools, less exposure to minorities tends to make students more insular, xenophobic and, well, racist. If you don’t want little Billy and Sally to maybe one day become closeted Klan members, you may need to give them the opportunity to make some black friends. At very least they need to see black and brown people as people – not media stereotypes. Even Richard D. Kahlenberg, a proponent of some types of charter schools and a senior fellow at the Century Foundation, thinks integration is vital to a successful school system. “To my mind, it’s hugely significant,” says Kahlenberg, who has studied the impact of school segregation. “If you think about the two fundamental purposes of public education, it’s to promote social mobility so that a child, no matter her circumstances, can, through a good education, go where her God-given talents would take her. The second purpose is to strengthen our democracy by creating intelligent and open-minded citizens, and related to that, to build social cohesion. We used to know that public education wasn’t just about providing what’s best for one student. It was about providing the best for all students. Public schools build the society of tomorrow. What kind of future are we trying to create? One where everyone looks out just for themselves or one where we succeed together as a single country, a unified people? A system where everyone pays their own way through school and gets the best education they can afford works great for the rich. But it leaves the masses of humanity behind. It entrenches class and racial divides. In short, it’s not the kind of world where the majority of people would want their children to grow up. More than half of public school students today live in poverty. Imagine if we could tap into that ever-expanding pool of humanity. How many more scientific breakthroughs, how many works of art, how much prosperity could we engender for everyone!? That is the goal of integration – a better world. But people like Cunningham only can see how it cuts into their individual bank accounts. So is it important to fight school segregation? That we’re even seriously asking the question tells more about the kind of society we live in today than anything else.